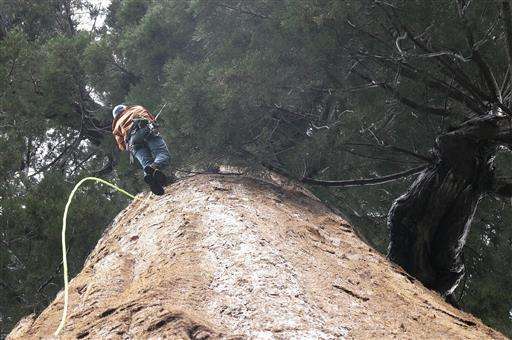 At the foot of a giant sequoia in California's Sierra Nevada, two arborists stepped into harnesses then inched up ropes more than 20 stories into the dizzying canopy of a tree that survived thousands of years, enduring drought, wildfire and disease. 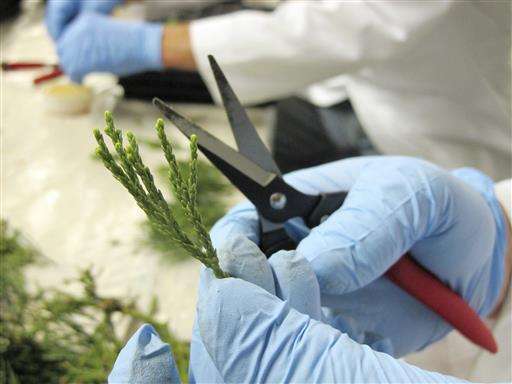 There, the arborists clipped off tips of young branches to be hand-delivered across the country, cloned in a lab and eventually planted in a forest in some other part of the world. 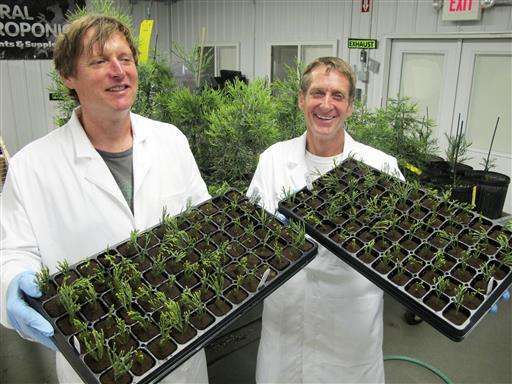 The two are part of a cadre of modern day Johnny Appleseeds who believe California's giant sequoias and coastal redwoods are blessed with some of the heartiest genetics of any trees on Earth—and that propagating them will help reverse climate change, at least in a small way. "It's a biological miracle," said tree climber Jim Clark, firmly back on the ground and holding a green sprig to his lips as if to kiss it. 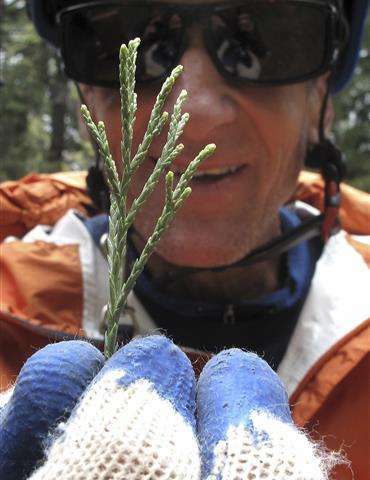 "This piece of tissue ... can be rooted, and we have a miniature 3,000-year-old tree." The cloning expedition to Camp Nelson, a mountain community about 100 miles southeast of Fresno, was led by David Milarch, co-founder of Archangel Ancient Tree Archive. The Michigan-based nurseryman preaches the urgency of restoring the Earth's decimated forests. In two decades, he says his nonprofit group has cloned 170 types of trees and planted more than 300,000 of them in seven countries with willing landowners. "It's really a race against time," Milarch said. "If we start right now, we can go after climate change and reverse it before it's too late." Sequoias growing in the Sierra are among the biggest and oldest trees on Earth, some nearly 300 feet tall and up to 3,000 years old. Relying on common sense that he says is being borne out by science, Milarch, 66, believes their size and robustness make them ideal for absorbing greenhouse gases that drive climate change on the planet. He likens them to people who drink and smoke all their lives, yet thrive well into their 90s. One skeptic is Todd Dawson, a professor of integrated biology at the University of California, Berkeley. He admires Archangel's creative efforts but says it's unclear whether the towering trees have superior genes or whether they were simply lucky not to meet the fate of a logger's saw. Chances are slim, he said, that cloning and planting a limited number of trees will cool the warming planet. He favors more sweeping approaches such as curbing the use of fossil fuels and protecting vast rainforests. 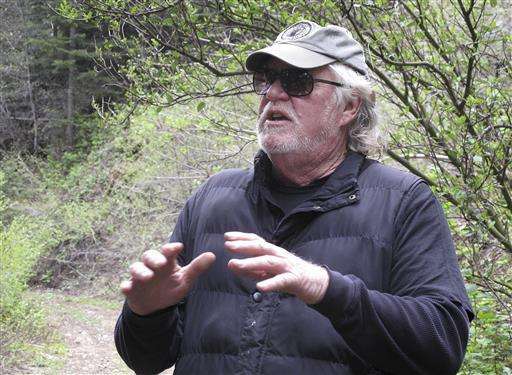 "That's one of the things about global warming—it's a global problem," Dawson said. "You're going to have to plant a lot of trees to combat global warming." A team of about a dozen expert tree climbers from across the country volunteered for the expedition in May to restock Archangel's store of genetic samples. 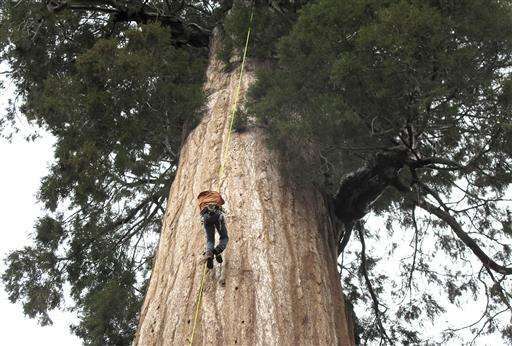 They risked their lives to climb to the ends of massive limbs, starting in the southern Sierra sequoia grove and winding up nearly 500 miles away in Northern California, where they carefully collected additional samples from coastal redwoods—a taller, thinner cousin of the giant sequoia. Clark wrapped the clippings he gathered in damp newspaper, placed them inside ice-filled duffel bags and boarded an overnight flight to the Archangel's lab across country in Copemish, a rural village in northwestern Michigan. There, Clark and another propagation specialist snipped off some 2,000 shoots a few inches long and planted them in small containers of a peat-and-gel mixture. 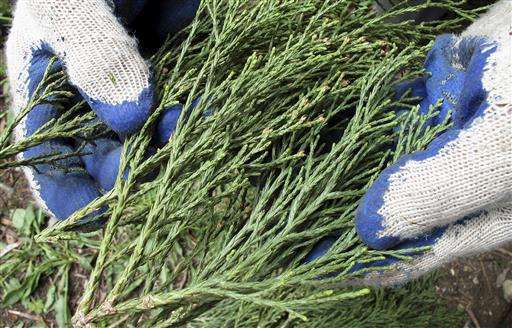 Another 1,000 fingernail-sized bits of greenery were placed into jars containing a blend of seaweed-based gelatin and growth hormones. 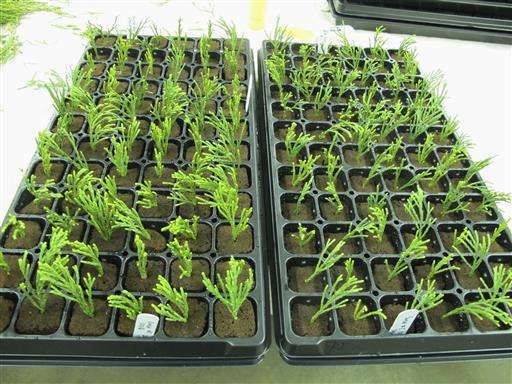 The samples grow beneath purplish fluorescent lights under humidity and temperatures designed to encourage rooting. 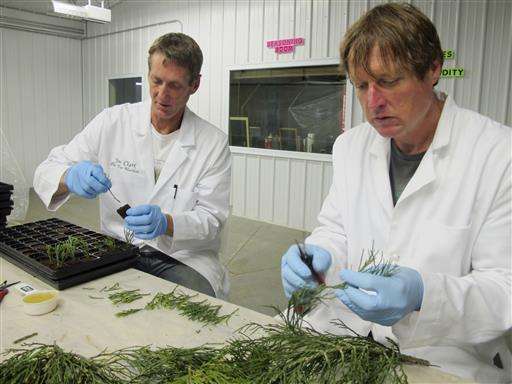 Cloning ancient trees is tricky business, lab workers say, and many samples don't survive. 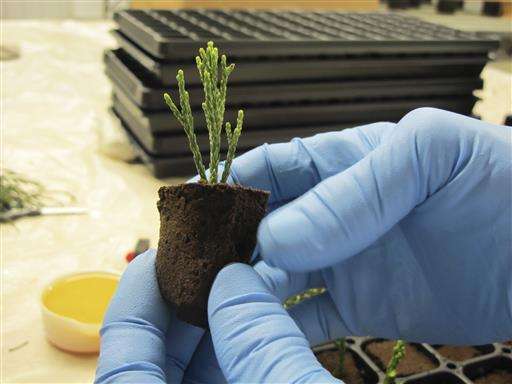 Later this year, Archangel's team will come west to plant up to 1,000 sequoia and redwood saplings in a cool, damp region of Oregon where the trees will have the best chance to grow. Bill Werner, a horticulture consultant based in Monterey, California, who has worked with Archangel, says that in the face of global warming, it's easy to dismiss the efforts of a "renegade" group that relies heavily on donations and volunteer nurserymen and arborists. "That's not fair," Werner said. "It may be a drop in the bucket, but at least somebody's doing something."